It was supposed to be dead by now. But it is worth pointing out that from last week until December 15, enrollment is open for health insurance through the Affordable Care Act, aka Obamacare. 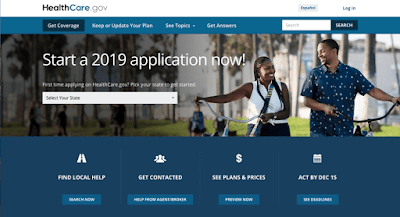 The Kaiser Family Foundation hosts a free calculator that lays out available options and costs for people purchasing insurance through the health insurance "marketplaces." Meanwhile, Idaho, Utah and Nebraska voters may have elected Republican representatives, but they also voted to expand Medicaid to their needy populations under the federal program. The notion that the government has a responsibility to provide some sort of access to health care is taking root. Democrats ran on this radical proposition in many forms in different areas -- and out-polled fear and racism by a national seven percent majority. Next job: make healthcare availability universal and affordable.